April 14th, 2016 (11:23 AM). Edited November 4th, 2016 by Mechakhan. OH NOES! A VIRUS HAS BEEN DETECECETD! Hi everyone! I'm Submachine39 AKA Mechakhan and I'm relatively new here on PC. Anyway I, like many other people here, decided that I wanted to create a ROM hack. I've been ROM hacking for about 1 year and this is my first public work. So, without further ado, the details! Full decapitalisation, cause capitals are annoying. All trainers have maximum AI and 50 IVs instead of 0 for added difficulty. 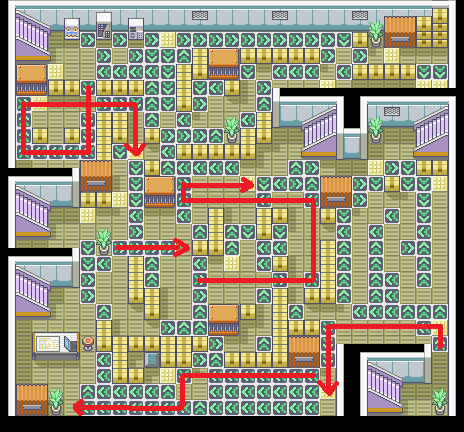 Pokémon and moves from gens 4, 5 and 6. Some references to different games and anime. Move tutors can teach moves multible times, in exchange for Shards. HMs contain more useful moves. Some cursing words, nothing mayor though. Some Pokémon have their hidden abilities available. The items sold at Pokémarts are based of how many badges you have. 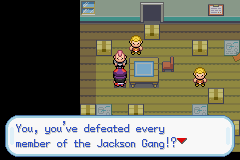 Game Freak, for creating one of my favourite gaming franchises. 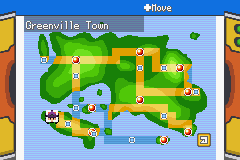 Amethyst, for creating Pokémon Reborn and giving me the idea to use a level limit. JPAN, for creating the documentation about the Special and Special2 commands, the Pokémon Decrypter ASM routine and his post about Battlescript command 0. 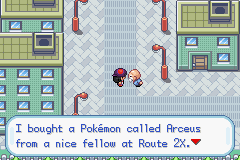 Darthatron and JJames19119, for creating the physical/special split patch for FireRed that I used. Navenatox, for creating the custom OW palette system patch. LU-HO, for creating Advance Map. Hackmew, for creating XSE and discovering how to make running indoors possible. Karatekid552, for creating G3HS och documentary about FireRed flags and vars. MrDollSteak, for his Attack animations. Neti, for his Advance Map tutorial. GoGoJJTech, for showning how to implement reusable TMs. Shiny Quagsire, for his ASM tutorial. 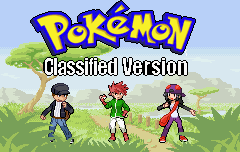 Chaos Rush and The DS-style 64x64 Pokémon Sprite Recource. diegoisawesome, for his XSE tutorial. DavidJCobb, for creating the FireRed RAM map. 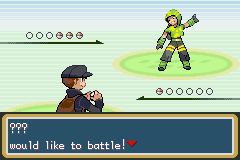 Jambo51, for his custom trainer music and for his research about commonly used FireRed ASM ROM offsets. If you notice that I have included something that you discovered, please tell me and I will add you to the list! 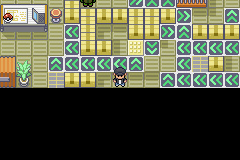 The alpha covers one gym, but does not stop right away! In the Alpha, the hack is about 10% finished. Currently, the hack is about 20% finished. 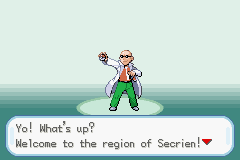 The professors glasses flash as he withdraws his Pokémon in the intro: Really minor and probably someting that's not worth fixing. Also, the Pokémon has a seadra cry, which it shouldn't: Again, very minor. If the rival fight is lost, the script wont run again: Fixed, uploaded new patch. 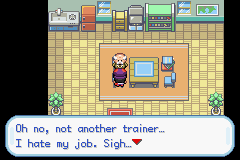 EDIT: I accidentally used a FireRed 1.1 rom for the old patch. 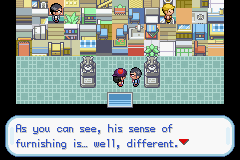 The updated patch is for FireRed 1.0. If you downloaded the old patch I would recommend redownloading, as there are probably many bugs in it. April 14th, 2016 (2:16 PM). Edited April 14th, 2016 by Kukli. April 15th, 2016 (7:32 AM). Looks interesting. Probably will get put up for hack of the month next month, if this month's precedent of tossing new hacks into the fray continues. April 15th, 2016 (7:49 AM). Looks promising, I'll try this one out. April 21st, 2016 (6:40 AM). April 22nd, 2016 (9:23 AM). April 24th, 2016 (3:08 AM). Here is the solution to the puzzle. Only view it if you're really having trouble. April 24th, 2016 (12:13 PM). So do I have the wrong version of the game? April 25th, 2016 (8:45 AM). 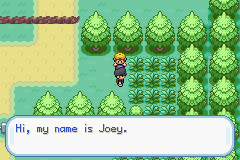 Oops, I just realised that I used a FireRed 1.1 rom when I created the patch. That might be the cause of the problem. Really sorry about that! I've uploaded a new patch in the first post. January 9th, 2017 (8:33 PM). Good luck with your hack, however, your thread needs more tweaking and information, for instance "Story" section doesn't give any idea of your hack concept, I personally do not feel attracted to the plot neither motivated to play it. I hope you won't take this negatively but positively to improve further your experience and skills! Good luck mate! January 21st, 2017 (8:08 AM). Thank you for your comment! My intention was to explain the story in a mysterious way, but I agree with you that it's somewhat lacking. At the moment, I haven't got everything planned out. In the next beta when the game will be about 50 % done (Which will probably be released one or two years from now in my current pacing :P) more of the story will be revealed as well as other features which will hopefully make my hack stand out more. June 27th, 2017 (10:43 PM). September 9th, 2017 (12:42 AM).